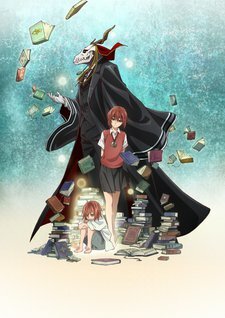 The three-part OVA series will chronicle a story taking place before Chise meets the Magus. Chise Hatori has lived a life full of neglect and abuse, devoid of anything resembling love. Far from the warmth of family, she has had her share of troubles and pitfalls. Just when all hope seems lost, a fateful encounter awaits her. When a man with the head of a beast, wielding strange powers, obtains her through a slave auction, Chise's life will never be the same again. Episode 7 - Talk of the devil, and he is sure to appear. Episode 8 - Let sleeping dogs lie. Episode 13 - East, west, home's best. Episode 14 - Looks breed love. Episode 19 - Any port in a storm. Episode 21 - Necessity has no law. Episode 22 - As you sow, so shall you reap. Episode 23 - Nothing seek, nothing find.